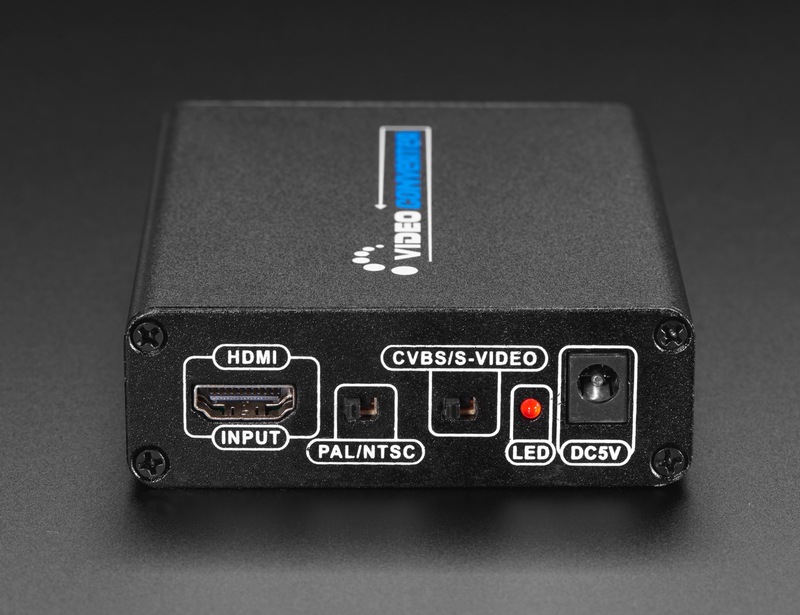 NEW PRODUCT – HDMI to RCA Audio and CVBS NTSC, PAL, or S-Video Converter « Adafruit Industries – Makers, hackers, artists, designers and engineers! Do you have a S-Video display, projector or monitor that is not compatible with your HDMI devices? 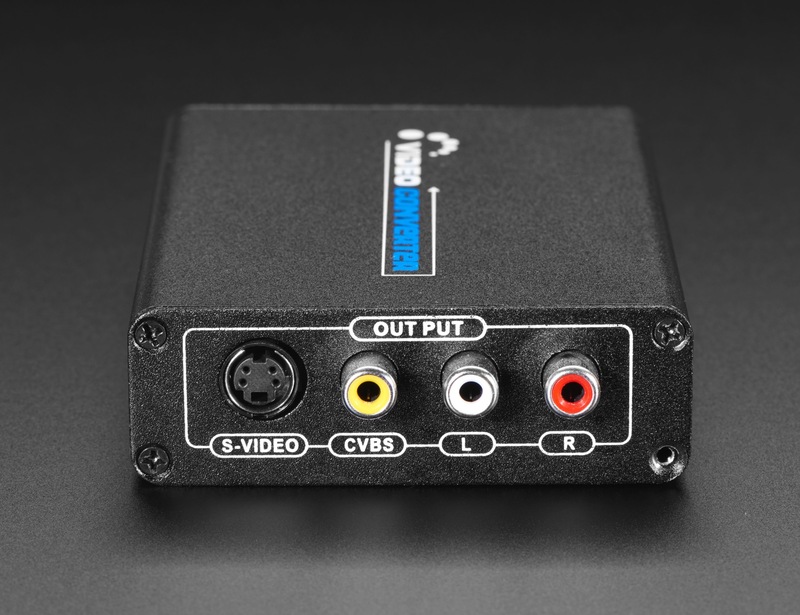 Here’s an adapter that will allow you to convert HDMI to S-Video, for older video devices that might not have an HDMI input. S-Video has better performance than plain “RCA” composite NTSC/PAL as it separates the color and light level, so if you have a device that can take either S-Video or NTSC/PAL composite, you’re better off going with S-Video! Note that you still won’t get something as nice as HDMI, as analog is just noisier than high-definition digital. 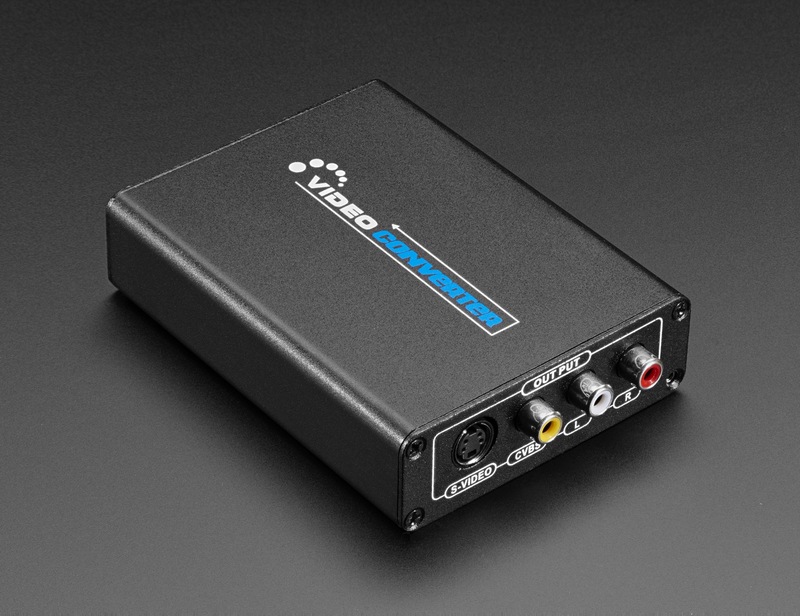 This mini HDMI to S-Video signal converter box will convert HDMI video+audio signal to either Composite Video or S-Video – selectable by a switch on the side. You can do either NTSC or PAL encoding, also with a switch. Ta-da! Your HDMI-output-only device can now hook up to your analog TV. Not compatible with 3D or HDCP, so turn those off! 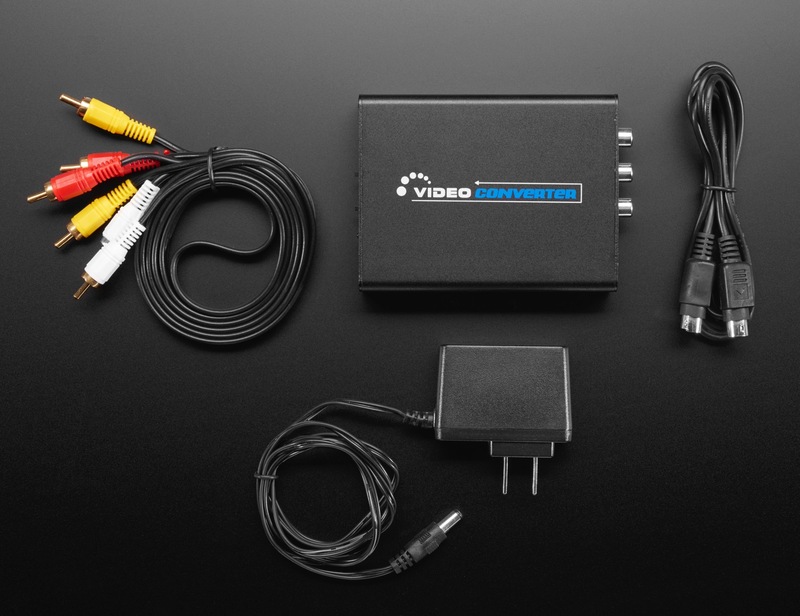 Note: This product does not support simultaneous output of Composite Video and S-Video. Please select either one of them using the switch on the unit itself.